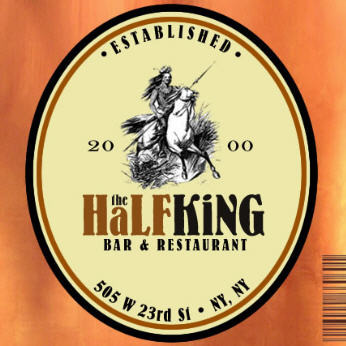 The Half King - Game POD - RSVP, but No Fee! The Games POD - After drinks and apps/small plates at The Half King, get to know others who love games of all kinds - Scrabble, Crosswords, online... The gourmet comfort food & relaxed atmosphere attract celebrities of all kinds. The creative types like to gather here at the yellow pine bar to catch a glimpse of the part owner, author Sebastian Junger (The Perfect Storm). Menu prices run from $6 to $16. Wanna go? Space is limited so RSVP today!